Apple pie in my eye – Where Is My Teaspoon? Apple Pie! What could be better with ice-cream? It is beyond hot here in England, makes me miss home. Excuse the dish, there wasn’t a pie dish anywhere to just had to make do. This is a really lovely recipe though and would look very special in a pretty dish. Firstly, peel and chop your apples. Leave them in a bowl with your cornflour and cover with a clean tea-towel. Lets just get rid of that moisture right away. Next, make your pastry. 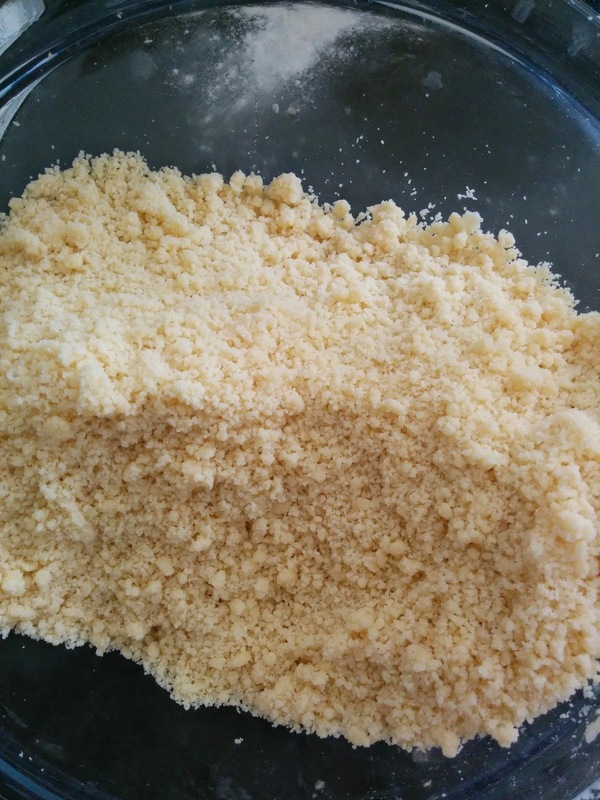 Weigh out your flour and butter and rub in until it resembles breadcrumbs. There is a lot of butter in this recipe but it will all work out in the end – even if you think it won’t. Add in your ground almonds and mix to combine. In a mug, crack one egg and one egg yolk and give it a mix. Save your other egg white to brush the top of your crust. 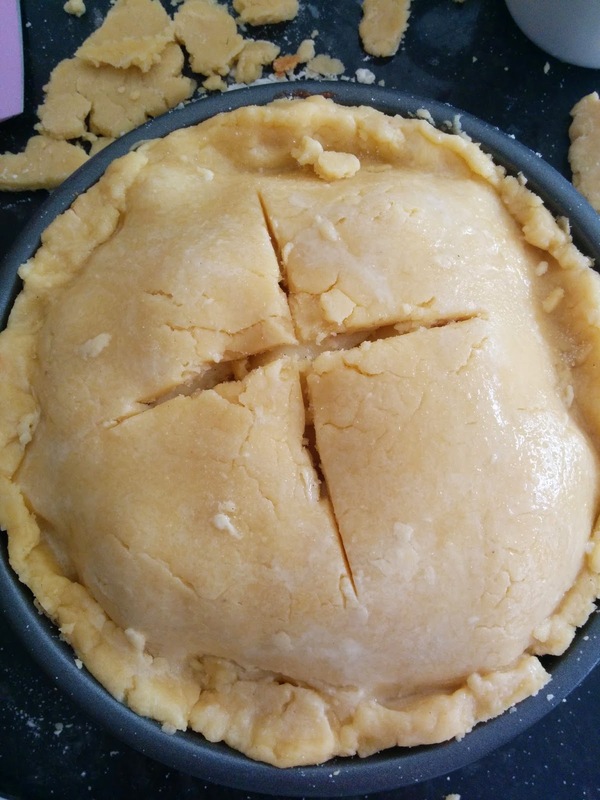 Add the egg into the pastry and mix until combined. 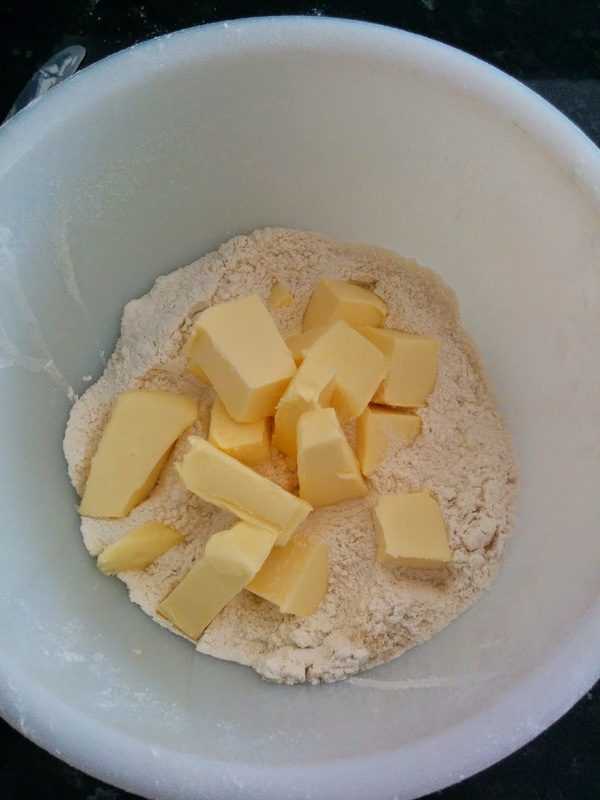 Don’t knead it too much, remember it is pastry. Once you’re happy, place it in the fridge to rest for 20 minutes. While your pastry is resting, scrape out your vanilla pod and add it to your sugar. 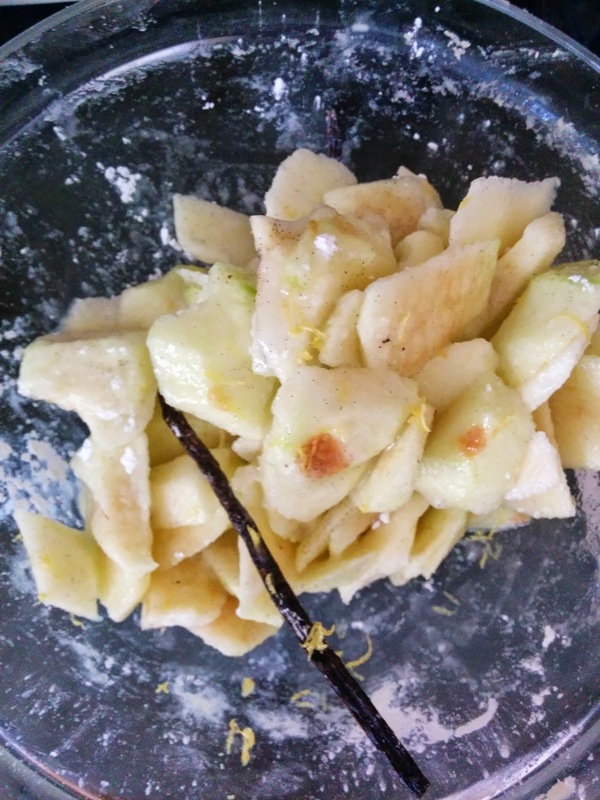 Using a sieve, shake the vanilla sugar onto your apples and give a good mix. You should see all the juice from the apples escaping now. Throw in the skins of the vanilla pods for extra flavour. Preheat your oven to 200 degrees and get your pastry back out of the fridge. Roll out the bottom layer and place in your tin. If you like, you can bake this blind for a few minutes – I did this as my crust is very thick here. 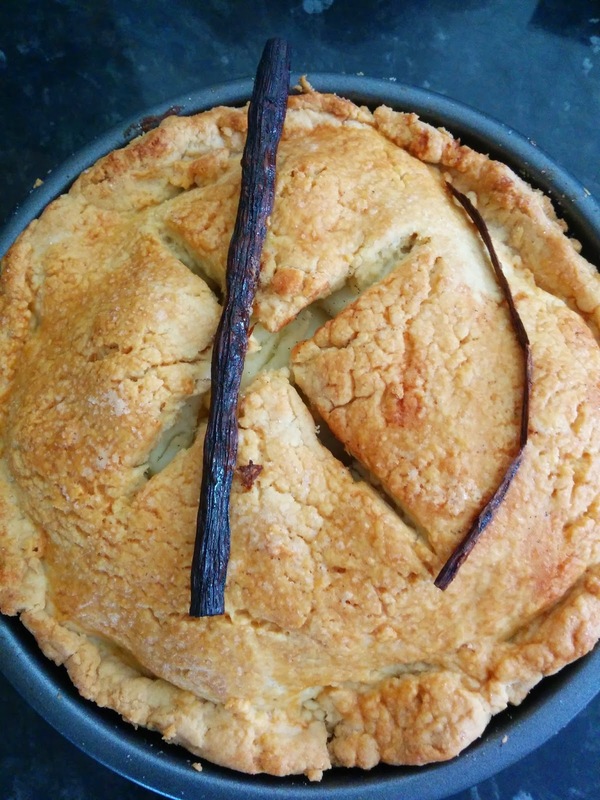 When ready, add your apples (leave the vanilla pod behind) and cover with your pastry top. Seal the edges down and brush over completely with your leftover egg white. Give a generous dusting of sugar and place your vanilla pod skins on top, as seen in the photo. Make a cross in the middle to let all the steam and bad luck out. Bake this for at least 35 minutes or until golden brown. The fruit should be soft when poked with a knife. Serve and enjoy warm with vanilla ice-cream – Nom if I do say so myself!